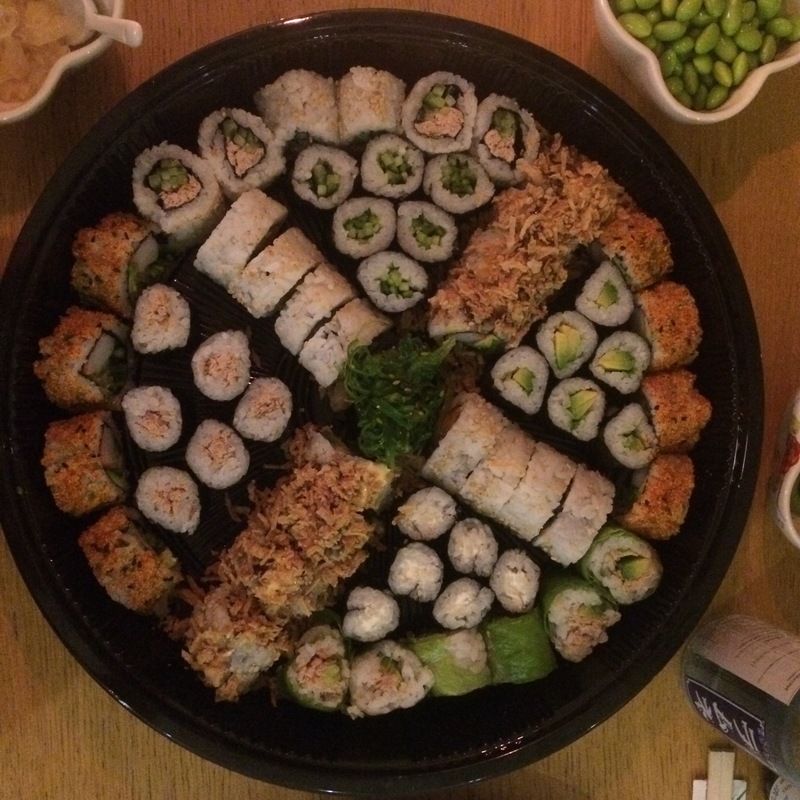 Our J date was a weeknight date at home on Valentine’s Day and involved a lot of delicious sushi. For our alphabet date J was for Japanese! And we didn’t just eat sushi. 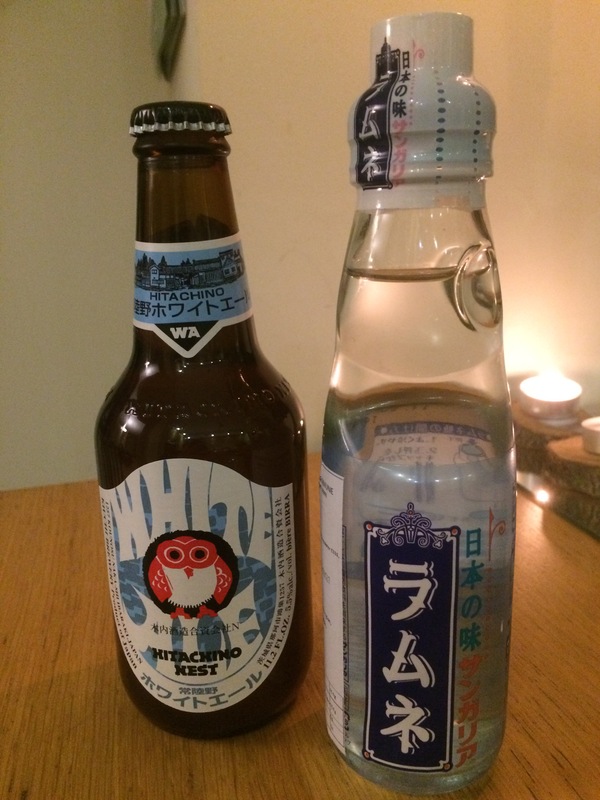 We also had Japanese soft drinks and beer. The beer was a white beer, refreshing and tasty. I love the owl on the bottle too. The soft drink tasted like cream soda and was sealed with a glass marble in the neck, which had to be pressed down with the inner section of the plastic cap to open. Ingenious. 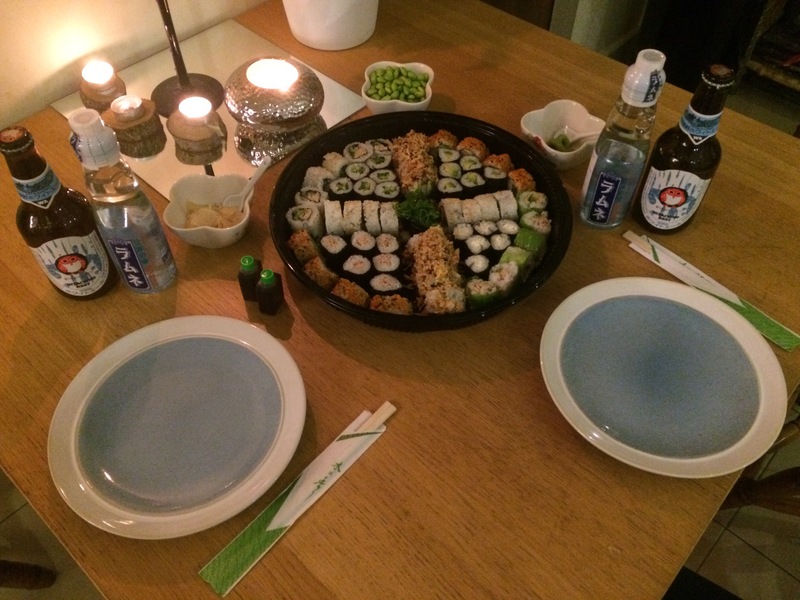 The sushi came from a new fresh “Sushi Daily” counter that has recently opened in our local Waitrose. It looks amazing and we’ve been meaning to try it for a while. The sushi was gorgeous. 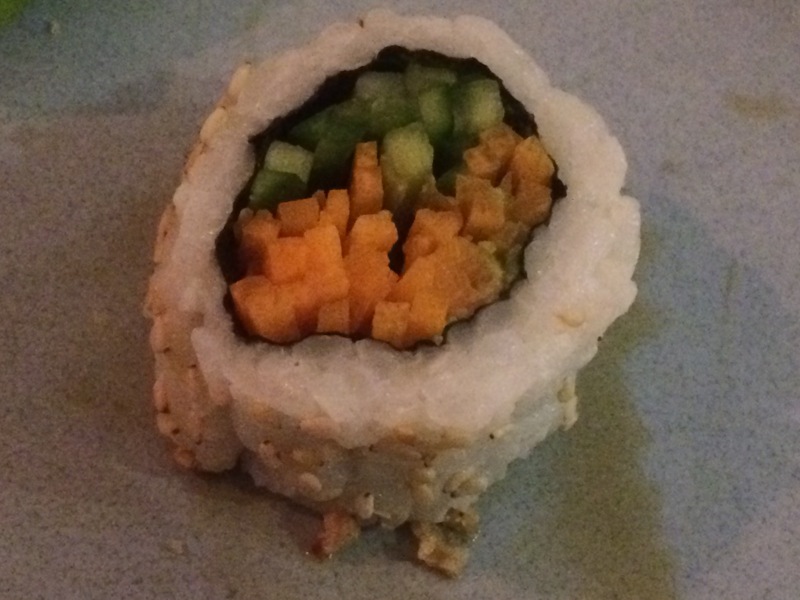 Rolls were filled with tuna, cream cheese, crab, avocado, carrot and cucumber. 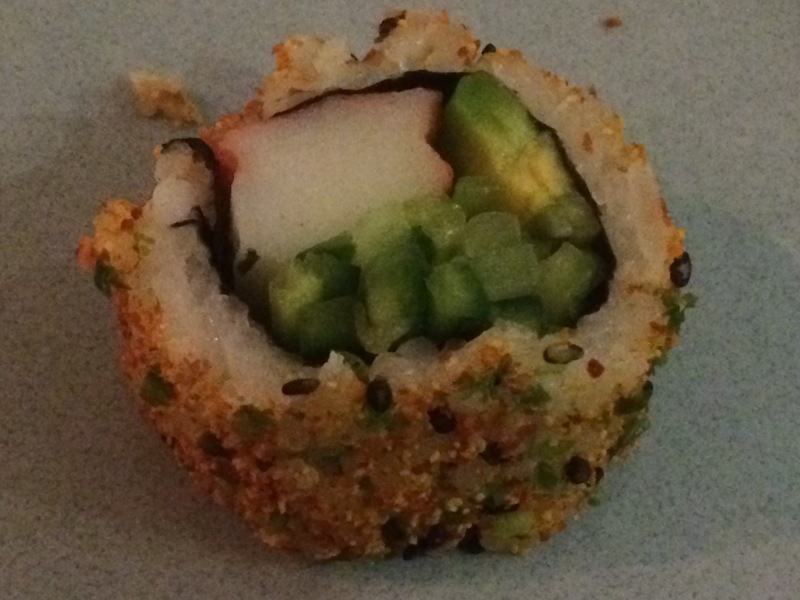 They were covered in seaweed, spicy mix, sedane seeds and crispy onion and we loved it. This date was relaxed and informal, away from the overpriced pressure that can be a Valentine’s night out. 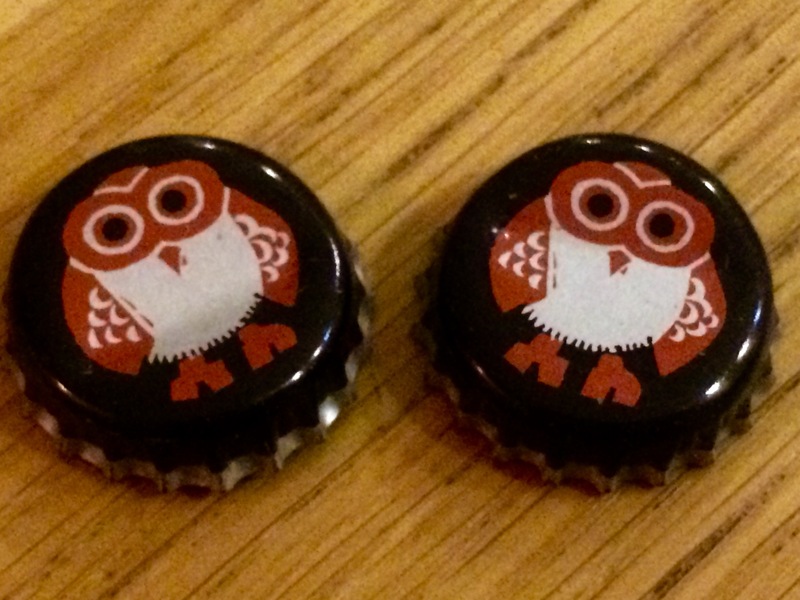 And it involved these cute owl bottle tops! J was a difficult date to plan, Jazz would be a good idea, but it’s not something we’re into, jogging is not really our idea of fun and a terrible fear of heights would rule out a bungee/ skydive type jump. Maybe a visit to a trampoline park or Bounce Below set in an old slate mines would be a fun date! What would you do for a J date? A visit to a Japanese garden would be lovely. I’m thinking of making something from the owls- little magnets or something perhaps. I’d love to try this alphabet dating, but I’m afraid I’m not very creative not my other half very adventurous lol! Have a go! It took me most of November and December to come up with all the ideas for dates and I’m not sure my husband is dead keen on some of them, but we’re having fun as we go, and it’s getting us to do some new things. I’ll have a good think 😀 x Love your blog by the way!